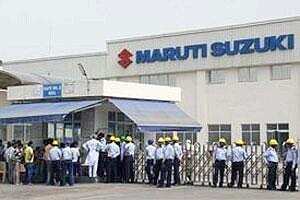 Recent coverage on Maruti Suzuki India Ltd’s union problems and the manner in which the situation has been managed led to a déjà vu moment for me. On 23 September 1983, a few hundred employees of the Taj (Bombay) expressed their unhappiness by setting fire to a few sofas in the lobby, breaking furniture and shouting anti-management slogans. Soon after, the then chairman of the company, J.R.D. Tata, called an emergency meeting. He first expressed his deep anguish and then asked us to share with him our analysis of the situation. The explanations given by my colleagues ranged from, “It is good to have such bloodletting from time to time" to “There is a dissident element that has been misled by external union leaders to believe they can wrest leadership from the existing union". My analysis of the situation was different. Of the 724 striking employees, over 90% were from departments such as laundry, maintenance, kitchen stewarding and housekeeping, who were hardly ever visited in their work place by the top management. They felt that the recognized union was a management-foisted one. A non-representative union and a near absent internal communication channel to express their just grievances had led to their aggressive outburst. Such situations, when allowed to fester for long, almost always throw up a Spartacus to lead them, as any student of history should know. Building on this axiomatic principle of JRD’s, we went about solving the problem and within a few years, enjoyed the very best of employer-employee relations in all our hotels. Unauthorized absenteeism reduced to less than 2%, every hotel had its own separate union (some with political links), complemented by a human resources (HR) team that provided an effective, internal channel for grievance anticipation and counselling. Employee attrition reduced and customer satisfaction improved, with significant impact on both top line and bottom line. The atmosphere in the Taj Group reached such a stage of harmony that one of our HR managers resigned saying, “Employees are so happy here that there is unlikely to be any strife, strike or any such thing. I am not learning any skills required to deal with difficult union issues." He left us to join an organization in Karnataka that was under lockout. We had suspended two employees on a charge of theft. After due process of inquiry, when the charges were upheld, we had terminated the services of these two. They made several appeals, one of which was addressed to JRD directly. On the morning of the day he completed 50 years as chairman of IHC—with the AGM scheduled for the same afternoon—JRD sent for me. After an hour spent on reading the inquiry proceedings and questioning the main witness, he said, “I am satisfied you have been fair. Go ahead and terminate, but please see if we can do something for their families, especially if they have school-going children." Rather than seeking to emulate JRD, why have Indian managements opted for bizarre, short-term fixes? There appears to be an extreme paucity of good HR professionals who can balance the soft and hard aspects of people management. I believe the primary cause for this is the sort of HR-related education offered in our management schools and executive development programmes. For decades, our management cadres have been fed a diet of quantitative models and American perspectives on HR, such as viewing people as a variable cost rather than the only asset that can appreciate in value and limiting talent management to incentivizing white-collar knowledge workers. Even in the US, where organizations have far greater freedom to increase or decrease their workforce, this does not work. Anyone wishing to challenge this claim would do well to read NY Times research on “The Downsizing of America", Louis Uchitelle’s “The Disposable American" and Alfie Kohn’s “Punished by Rewards". Indian labour laws are quite just in laying much greater emphasis on job security. Decamping to other locations in states that allow draconian practices is not a sustainable solution. Cost savings from employing casual and contract labour is trivial when compared with the enormous benefit that can accrue from investing in proactively building a “win-win" relationship with permanent employees and their unions. I believe that far less than 1% of employees get up in the morning and start planning on whose life they would make miserable that day. When employees are provided with a fair deal, they will pay back—with loyalty, productivity and profitability for the organization. This is not mere theory, but sound practice, tested, proven and implemented by the best of organizations.